Whilst they may be better known for sports betting bet365 have an excellent bingo site and app that’s packed full of fun games and bonuses. The bet365 bingo app gives new customers a shot at over £1000 in prizes in the newbies room where you play for free to win the cash! Once registered you can get a 200% bonus up to a HUGE £100 free – this is one of the biggest bonuses on the market! 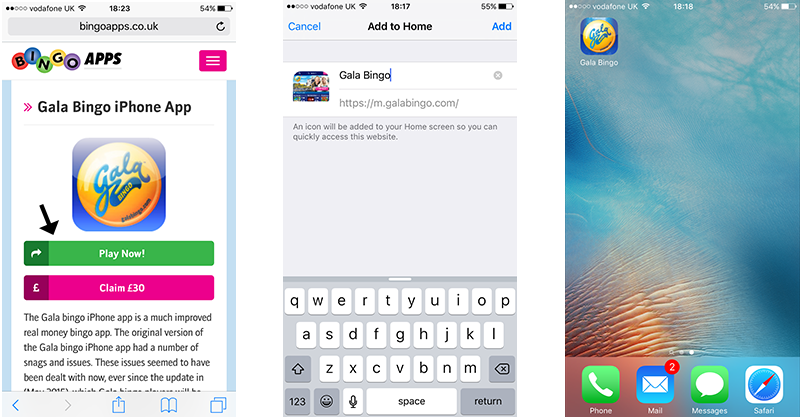 Registering For Bet365 bingo – The bet365 app for bingo is available on iOS, Android and all mobiles via the browser. You can get access to the welcome rooms for 7 days free bingo and a 200% bonus up to £100 through the link below. To Install the Bet365 Bingo app on your device, follow the three easy steps demonstrated on the diagram below. Before taking these actions you should make sure you have already signed up for your account. To begin with the install, click on the button above once more, after that follow the steps in the diagram. Play Now and Claim Up To £100 at Bet365 Bingo! Bet365 bingo runs on the same software as Paddy Power bingo and Sky bingo, playtech. The bet365 bingo app combines comes with a wide range of bingo games starting every minute or so and a decent mix of side games. They’ve got the mix about right for us with sticking to the bingo code with some fun games on the side unlike others who seem to be more interested in slots games now. 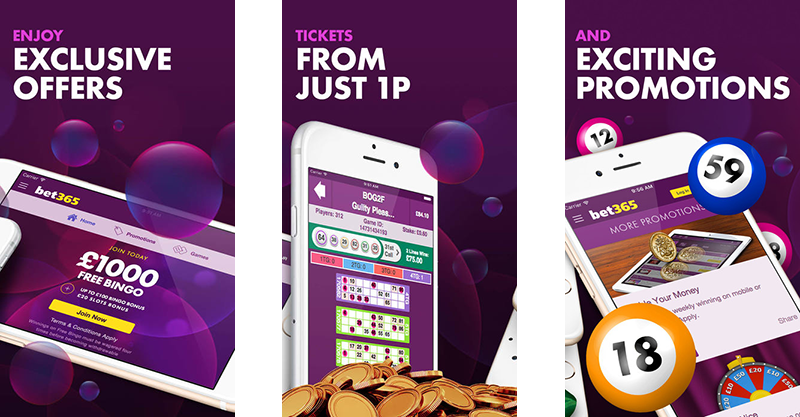 Promotions – There are a number of ongoing offers and promos that the bet365 bingo app has to offer both new and existing customers. These are bones games such as 1TG and 2TG prizes and some big jackpot games on a Friday with the £5,000 jackpot game on at 10.30. In side games there’s a reasonable choice of slots games to play on, although there’s no exclusives to the app currently. Design and performance – If I had to describe the bet365 bingo app in one word it would be “standard”. The design of the app is very easy on the eye and all in a nice standard layout and the performance is good too. 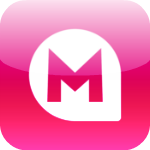 This is not like some bingo apps that are bright pink and splashed in flashing lights and a little overbearing. 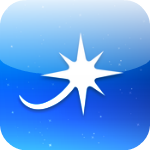 Its a top quality app that’s built with a real focus on performance and stability rather than an app built around gimmicks. Other apps – Being a bet365 customer gives you one account to cover all their current apps and products. With bet365 you can go everything from having a bet on the winner of Britain’s got talent to playing live casino games to a quick poker tournament. They really have everything covered to keep you entertained and your balance moves with you across the products making it easy to jump between them. Conclusion – Overall we really like the bet365 mobile bingo app, it’s a fantastic bingo platform for all phone users and it’s just so easy to pick up and play a quick game. The bonus is not the biggest in terms of the % but it is the biggest in terms of the amount you can claim. Join bet365 bingo today and we’re sure you’ll be a happy bingo customer!